Deepening our corporate responsibility governance and engaging with stakeholders are among aspects of Acer’s CSR policy. 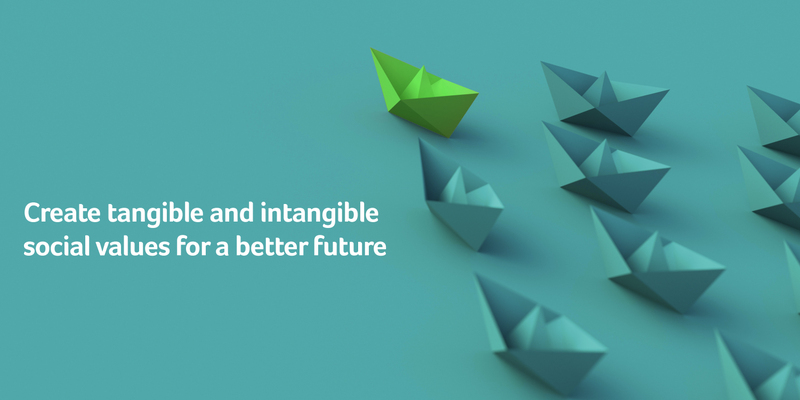 In addition, balancing interests, overcoming difficulties, working with stakeholders to create shared value, and creating win-win industrial ecologies are parts of the core spirit of Acer's brand. In order to best communicate and engage with our stakeholders, we work to fully identify those stakeholders through the five attributes laid out in the AA1000 Stakeholder Engagement Standard: dependency, responsibility, tension, influence, and diverse perspectives. Through this, we are able to deepen our level of communication with stakeholders and gain a more accurate understanding of their respective needs. Through communication, consultation, dialog, and cooperation, we create mutual exchange with stakeholders. In order to use the results of this communication to promote ongoing progress, we have also designed a communications evaluation mechanism and procedure for managing issues of concern. These are aimed at properly managing the opinions of different stakeholders as collected and assessed through communication channels, and at helping us achieve the expected level of communicative performance. 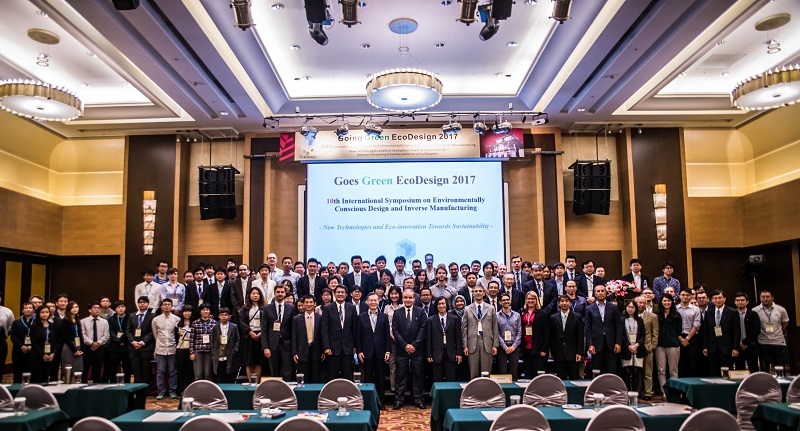 The green energy industry is booming, and with matters of environmental conservation, energy reduction, and renewable energy gaining increasing attention in both academic and business communities, the Going Green EcoDesign conference was held in Taiwan for the first time in 2017. Held jointly by National Cheng Kung University and the Union of EcoDesigners, the conference focused on a theme of “New Technologies and Eco-innovation Towards Sustainability." Acer was invited to participate and share our experience with green design of products and in corporate transformation. Acer and the ICT, jewelry, automotive, and aerospace industries have been working to resolve the conflicts in the Democratic Republic of the Congo around the extraction of 3TG (tantalum, tin, tungsten, and gold) metals. Growing evidence has shown that mining involves a high level of social and environmental risk, as well as involving mineral extraction beyond 3TG and the DRC. We believe that the continued promotion of responsible procurement is a priority in supply chain management. 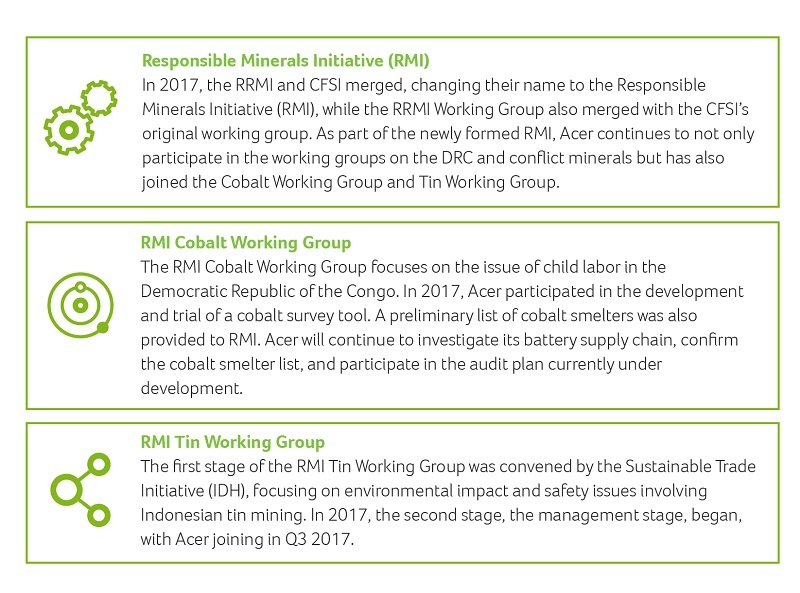 In 2016, Acer took the lead in signing on with the Responsible Business Alliance’s (RBA) Responsible Raw Material Initiative (RRMI). Ensuring sustainable consumption and production patterns” is one of the United Nations Sustainable Development Goals. 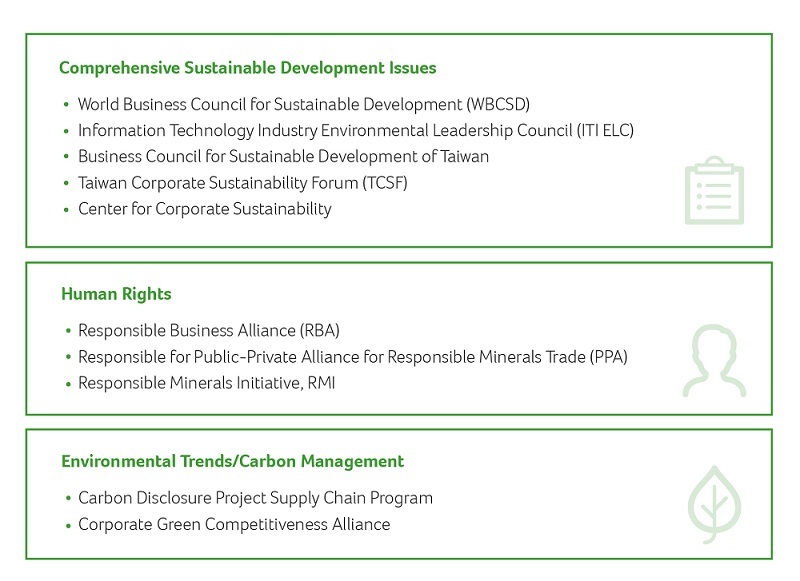 In 2017, Acer and National Taiwan University worked together for the first time to hold the Sustainable Resource Management Conference, inviting Rockefeller University research associate Iddo Wernick to give a talk entitled “Creating a Circular Economy: the Challenges and Opportunities for Business.”For this conference, experts from academia and industry were invited to give presentations on the issue of sustainable resources, engage in in-depth discussions, and explore both the capability of businesses to respond and the opportunities present.